At least those ears aren't facing the detonation. A day is not over or exciting without walking away from explosions. That is one badass Changeling. And he knows it. 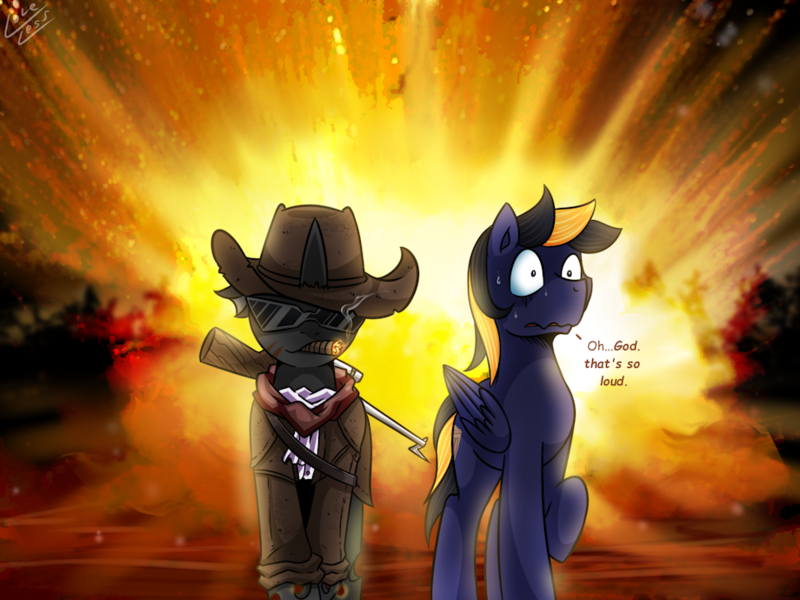 Cool stallions don't look at explosions. They blow things up and then walk away.